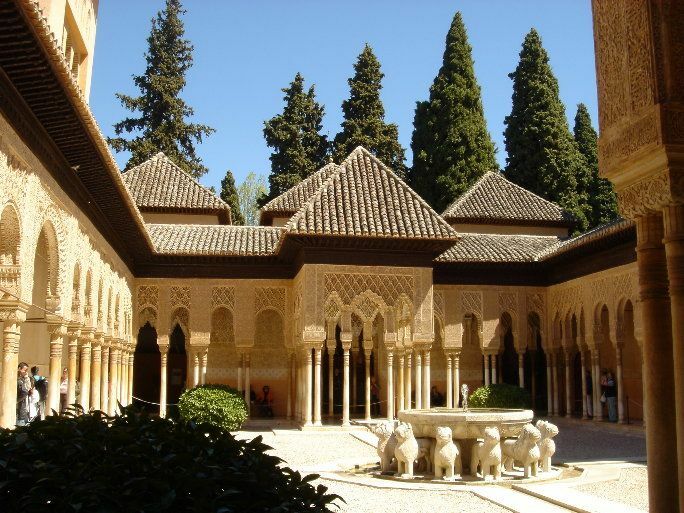 There are places in the world that seem just too magical to be real-- for me, the Alhambra Palace in Granada, Spain is one of those places. 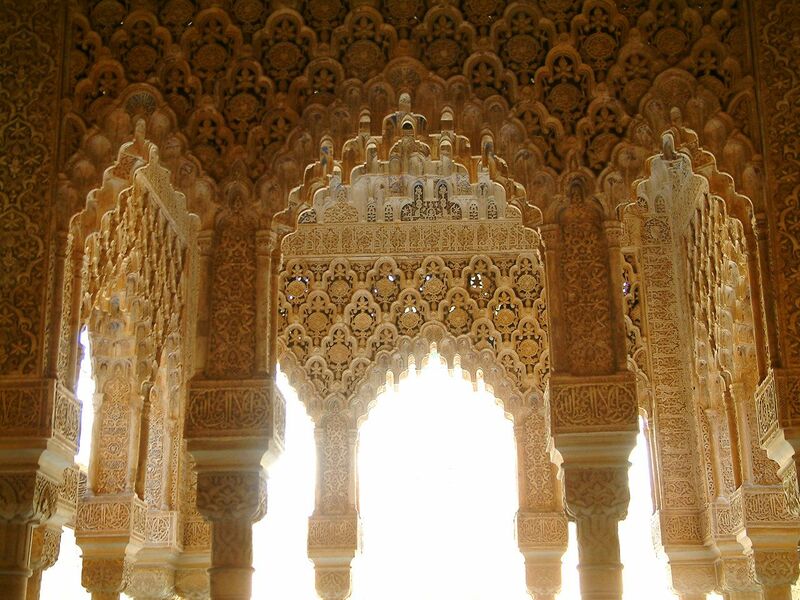 I first fell in love with the Alhambra Palace in Granada, Spain, when I read The Constant Princess by Phillipa Gregory. It's a beautiful and heartbreaking imagining of the story of Katherine of Aragon, who eventually married Henry Tudor. 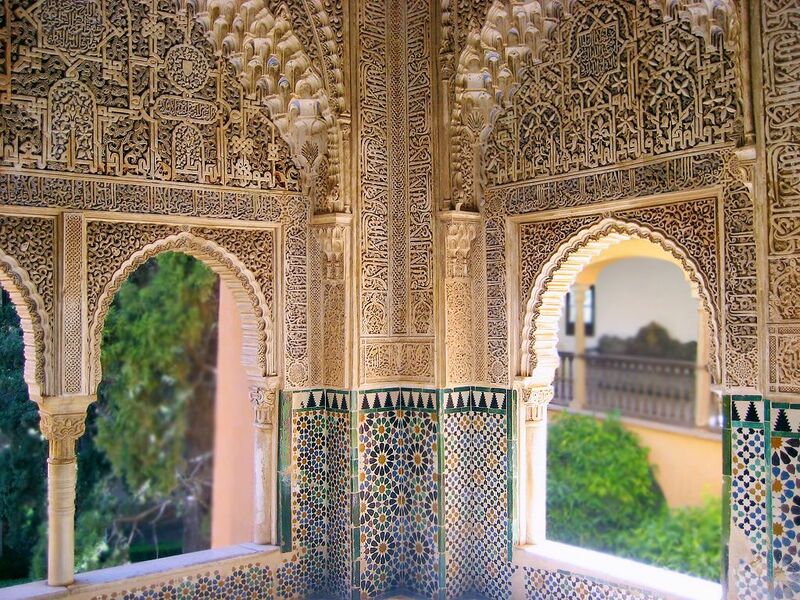 The beginning of the story is set in the Alhambra, and the descriptions of the beautiful carved plaster walls and ceilings absolutely mesmerized me. This is the ceiling of the Hall of the Two Sisters. 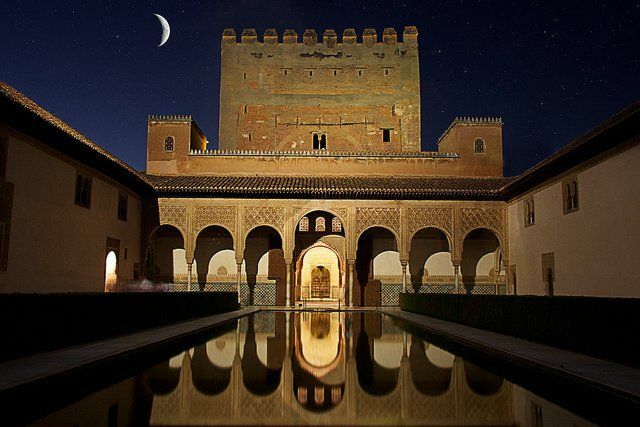 In my opinion, this is one of the most beautiful and impressive tributes to the ingenuity of the medieval Moorish people, who originally built the Alhambra Palace. 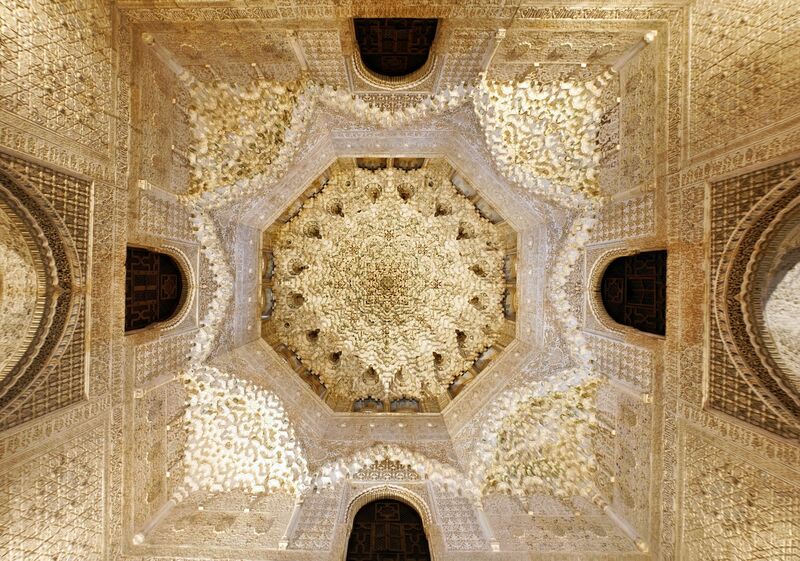 Not only is this ceiling stunning to look at, but the mathematical complexity of creating this design, and ensuring it would be able to be supported by the surrounding walls, is astonishing. 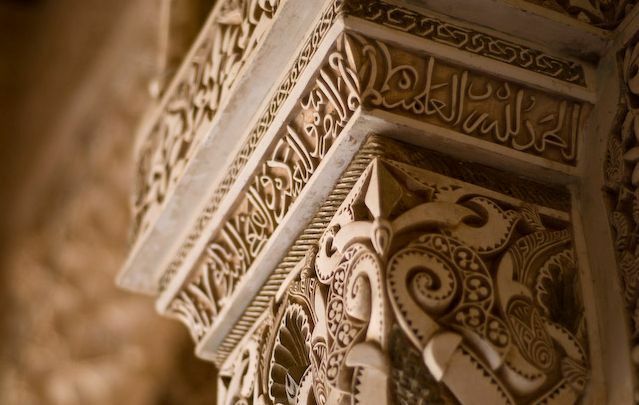 Isn't it incredible that every bit of the beautiful carving in the Alhambra was done by hand? The sheer amount of work is mind-blowing. The combination of incredible design and phenomenal, patient craftsmanship, created without modern machinery, is hard to comprehend. One of the most wonderful things about The Constant Princess was hearing the perspective of a teenage girl living in such an incredible place-- and yet, to Katharine, that was just the latest event in a tumultuous childhood. This photo, with the views out of the intricate windows, somehow makes the palace seem like it could have been a home to a girl who was the same age as I was when I first read the book. Incidentally, if you're a fan of the HBO series The Tudors, I think The Constant Princess would be an interesting bit of (fictionalized) backstory to give the television show's portrayal of Katharine more context. She comes off as cold, stubborn, and kind of one-dimensional in the show (in my humble opinion), but I think that reading The Constant Princess gives much more insight into her character's motivations. The Court of the Lions is stunning... The arches and plaster tracery are so delicately detailed, and the bolder, more solid lions around the base of the fountain offer such a strong contrast. 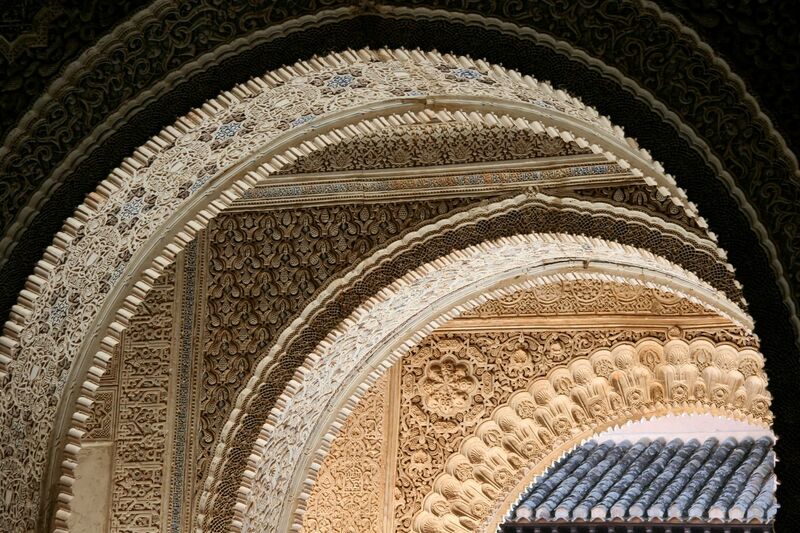 These detail shots of the arches into the Court of the Lions show such beautiful, thoughtful design, and again, an absolutely massive amount of exacting work. 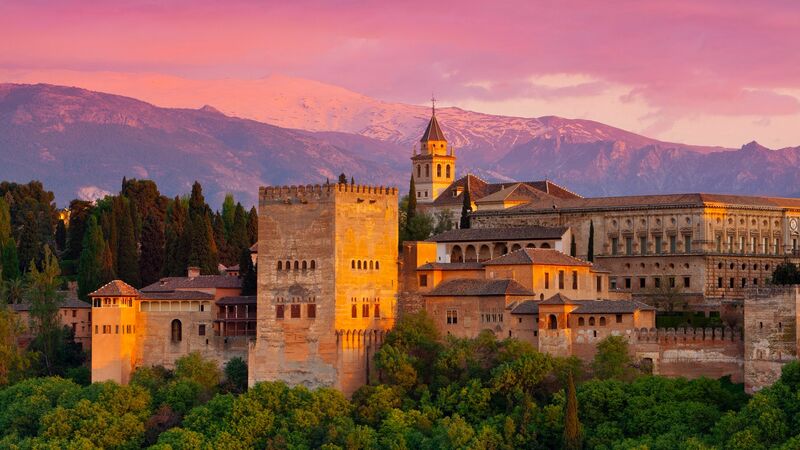 I would love to visit the Alhambra someday. I can't even imagine how it would feel to see and touch this incredibly inspiring work of art in person. Thank you for letting me share this beautiful space with you!